Lock in a great price for Georgian Palace - rated 8.7 by recent guests. Location is great. Breakfast is very simple but alright. For the price it is good: tea, coffee, cooked eggs, cookies, juise, some pancakes, bread, butter, fruits. Hotel inside looks great. Next to the hotel entrance (the same building) there is a supermarket - that is opend 7-24. Hotel does not provide lunch or breakfast. The location, the room size, cleanliness. Staff were willing to store our luggage after check out. Very central location, everything was in a few minute walk. The room was clean and fresh. Good value for the money! 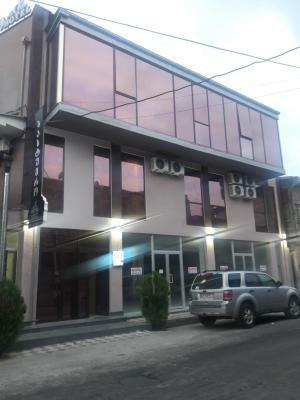 Very friendly personell and great location next to the market!! 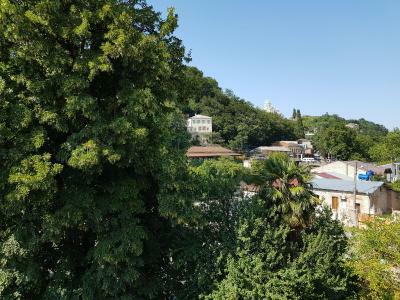 Only 500m from the city center! Also near a big bazaar and a supermarket. The staff is friendly and helpful, speaks English well. 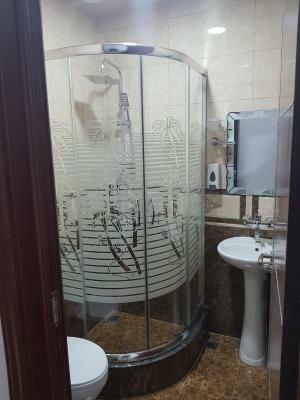 The room is clean and has all the necessary facilities. Delicious breakfast on the top of the hotel, where you can see sunrise while you eat. The staff is really friendly and help you whenever you need something. They speak in English. The breakfast is good (you'll be full for the morning :-)). The hotel is really central (you'll reach the main squares in minutes). I liked everything and the crew was really-really helpful. The room and hotel is clean, and the stuff is kind. One of our bestsellers in Kutaisi! Boasting a terrace, Georgian Palace is situated in Kutaisi and is less than 0.6 miles from Colchis Fountain. 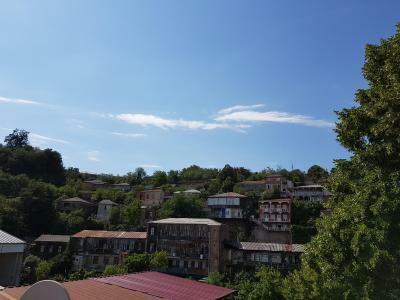 This property is located a short distance from attractions such as Bagrati Cathedral, White Bridge, and Kutaisi Historical Museum. The accommodation provides a 24-hour front desk and free WiFi. Gelati Monastery is 5.6 miles from the hotel. Kutaisi International Airport is 13 miles away. Georgian Palace has been welcoming Booking.com guests since 18 May 2018. When would you like to stay at Georgian Palace? House rules Georgian Palace takes special requests - add in the next step! The first room given to us (room 11) had ventilation issues. Staff were cooperative and moved us to a much better room. Breakfast could have been a little better. Small variety on breakfast food choices.